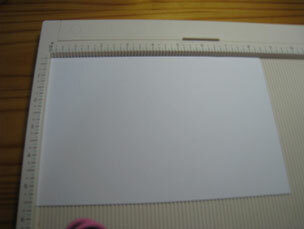 These are the simple steps for a regular A2-sized card (final measurements: 4 1/4 x 5 1/2’’) using an A4-sized paper (8.5x11’’). 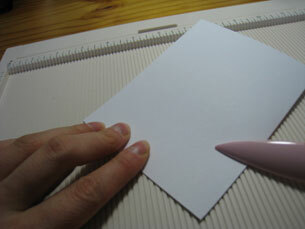 You need: a piece of 8.5 x 11’’ medium-heavyweight sheet of paper, a paper trimmer, a scoreboard, and a bone folder. *Any paper thicker than regular paper is fine. 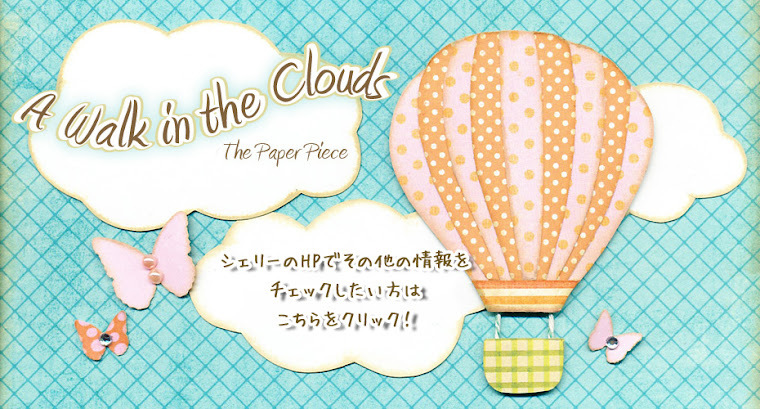 Steps: Cut paper in half, fold in half, and score with bone folder… Voila! 1. Take an 8.5 x 11’’ sheet of paper. 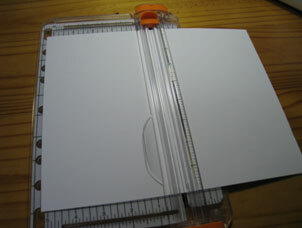 Slide it lengthways under the paper trimmer arm. 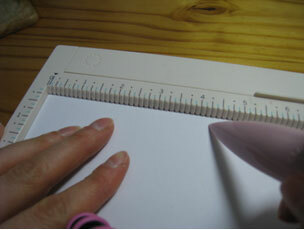 Using your bone folder, hold your paper firmly down while scoring your paper at 4 1/4 inches. Score means to make a line for easy-folding later. 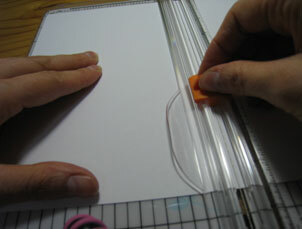 You want to do it gently so as to not tear your paper. Go slowly so your bone folder doesn’t jump out of the groove. 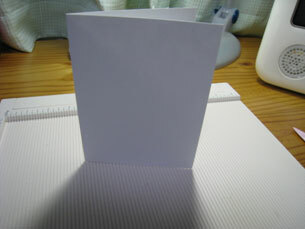 Try to make cards other ways using different sizes. Have fun and remember the sky’s the limit!